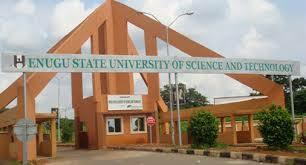 Enugu State University of Technology (ESUT) Provisional/Merit Admission List for 2018/2019 Academic Session Released and Uploaded Online. All the candidates who participated in the Enugu State University of Technology (ESUT) Post UTME screening exercise, are hereby informed that the merit admission list for the 2018/2019 academic session has been released. Prospective candidates are therefore advised to log on to the University portal to confirm/check admission list.